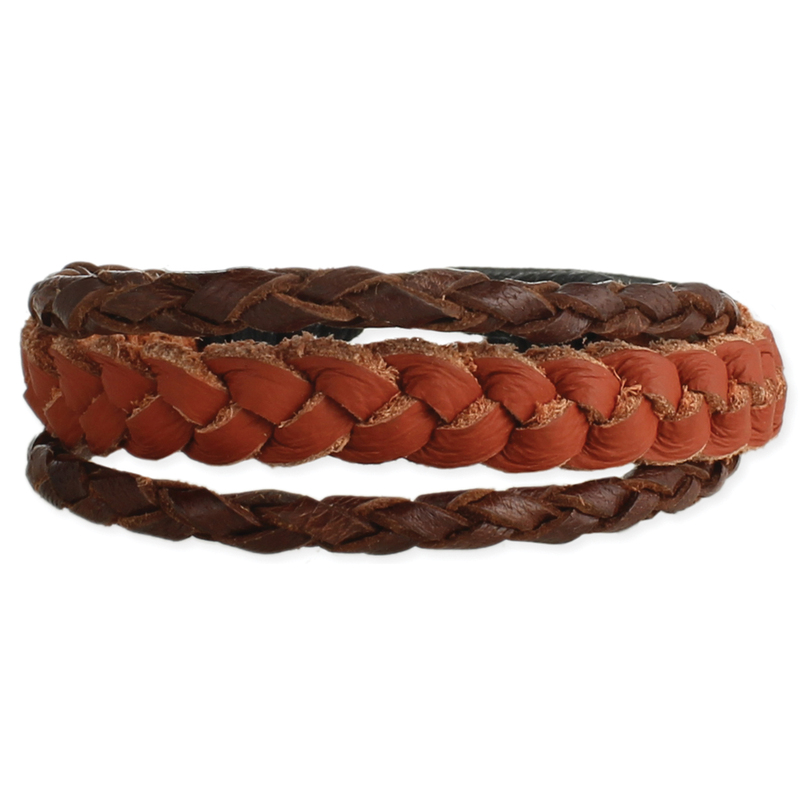 Easy to pile on the bracelets with this 3 in one men's leather pull bracelet. Separate strands of light and dark brown braided leather come together in back at the pull closure. Sure to be an every day accessory.